Pyramid Studios held a private open house event in order to introduce some of Tallahassee's business owners and professionals to the awesomeness that is PYRAMID! Members of BNI Biz-to-Biz and Tallahassee Chamber Leads Group 5 visited Studios to meet, mix and mingle. Some of Pyramid's biggest supporters were on hand as well to share their own Pyramid stories with the networking team members. 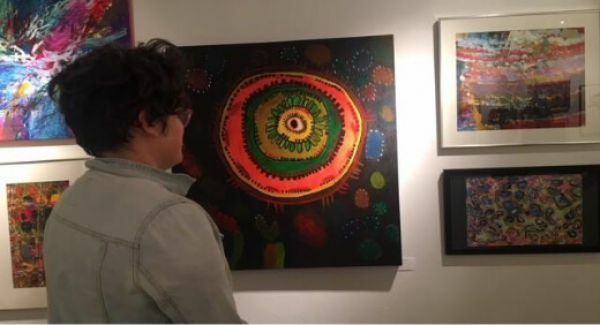 These honored visitors had the opportunity to view a private gallery show featuring Pyramid Artists, hear an exclusive performance by The Electric People, tour the program and also to try their hand at some art-making of their own. Much appreciation and a big shout out to those who were able to attend. We hope you enjoyed your visit to our program and that we see you again soon!